Not, perhaps, entirely relevant to this Thread, but I’ve just had a phone call from AA. I had messaged them saying we couldn’t pre-order on next week’s codeshare DUB-PHL, operating as AA723/BA1580. Neither website would let us order. What a nice American lady, who talked us through the meal options on both the outbound and the subsequent inbound AA722/BA1579. Somehow that seems to indicate a higher level of CS than is usually reported here from BA! if I remember correctly it’s (unfortunately for you) pre assembled. Yet again,a very nut-heavy dessert menu. Who designs these?? The strawberry alternatives look very dull. Blimey someone got a deal on Goats cheese and Braised Beef by the looks of things. 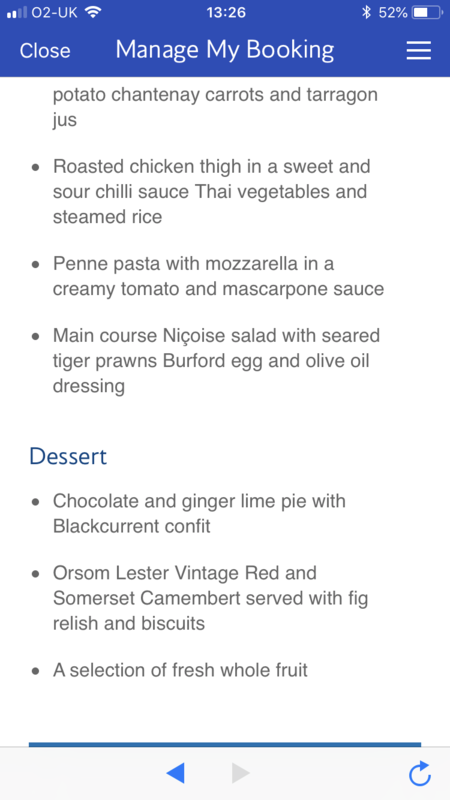 Menu for LHR - BOS later this week in WTP below. Nope, it's always only two in WT+ and almost always beef or chicken ex-London. If you want a vegetarian meal you'll need to pre-order one of the SPML. Yes, I agree that they are typically boring. 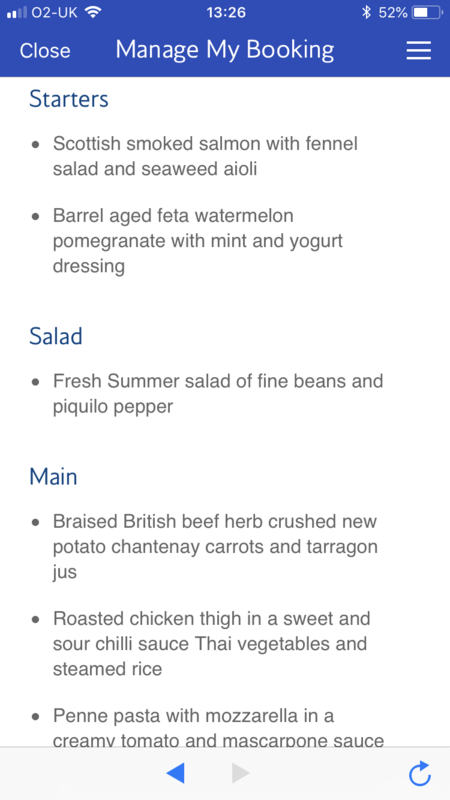 Apparently people who order VLML get the same vegetarian dish as in the CW menu (I think that's what CIHY was saying in another thread). In my experience, inbound meals often include a pasta dish. But you arent the only one who thought it was 3 (inc a veggie) ... I heard crew explain it at least 5 times on my last WTP flight "no sir ... if you havent pre ordered a vegetarian meal ... we dont have one here". Sure the mains are uninteresting but chocolate and orange pot is the best desert on BA... Unless lemon biscuits are available.